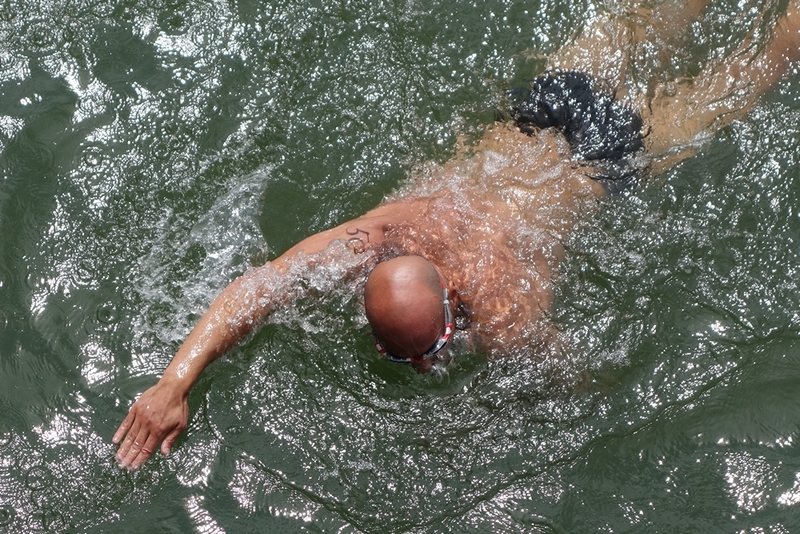 Both experienced athletes and recreational sports freaks dive into the cold river. 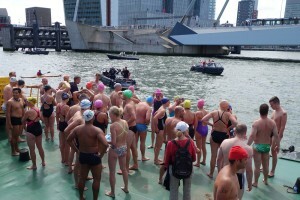 All for a good cause. 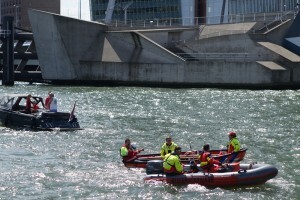 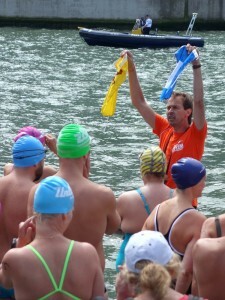 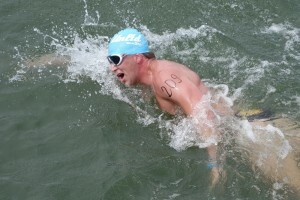 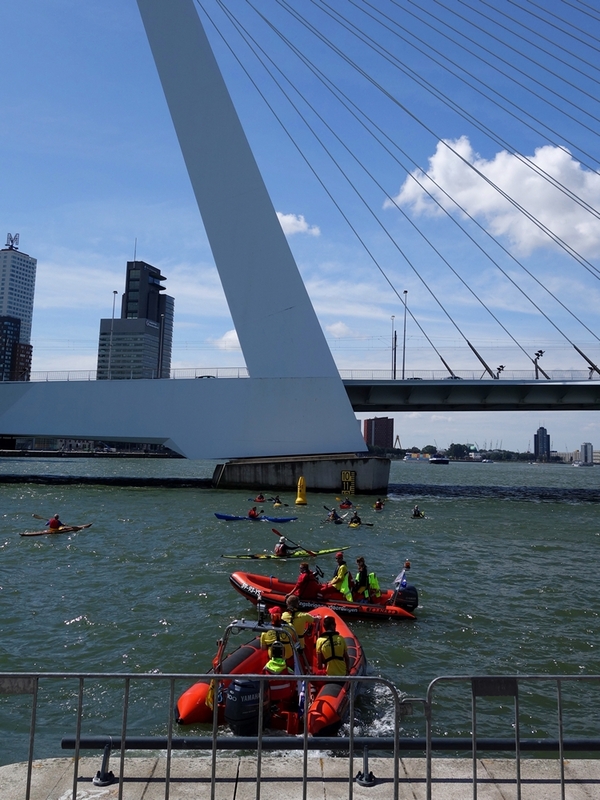 Rotterdam Swim challenge is an anual open water event in the river Maas. 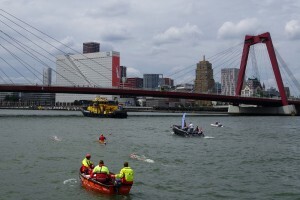 Participants have to swim a 3 kilometers course. 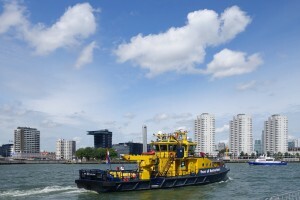 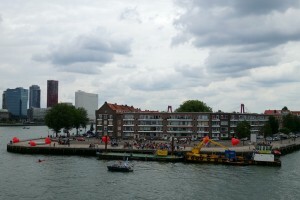 A route around the Noordereiland, a river island connected to the mainland by the iconic bridges Willemsbrug and Koninginnebrug. 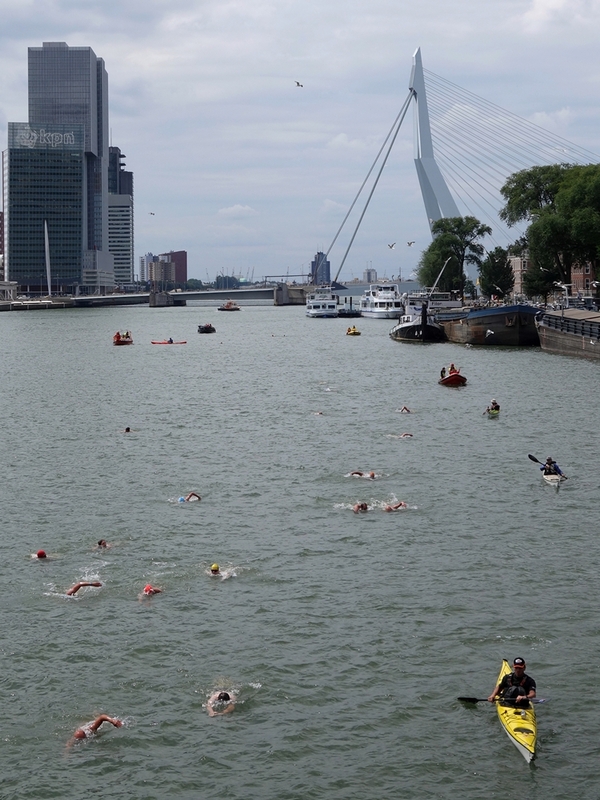 It is not a battle against each other, but an individual showdown in a fast-flowing river. Anyone can take the challenge. 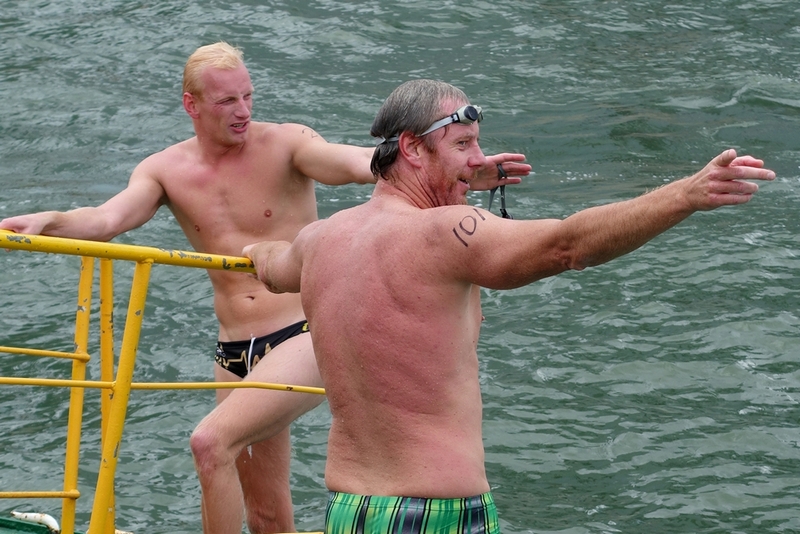 Recreational sports freaks and experienced athletes. 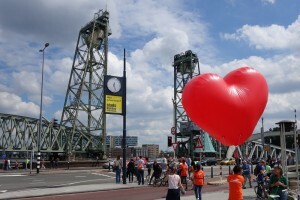 But there are two strict conditions. 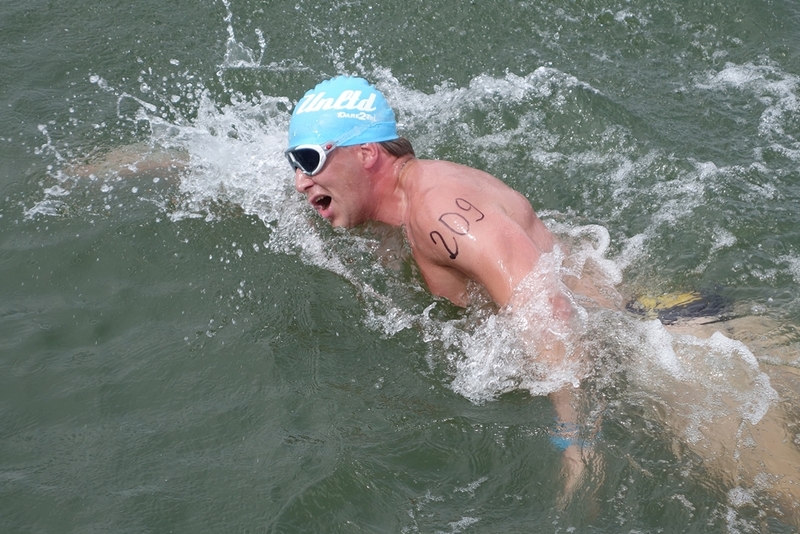 Number one: all swimmers have to finish within 45 minutes. 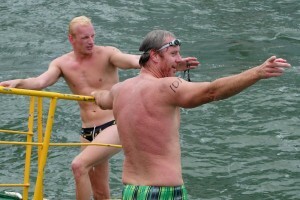 Number two: only speedo’s and normal bathing suits, no high tech swim suits. 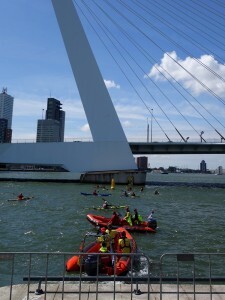 Fortunately, the weather was good, last Sunday. 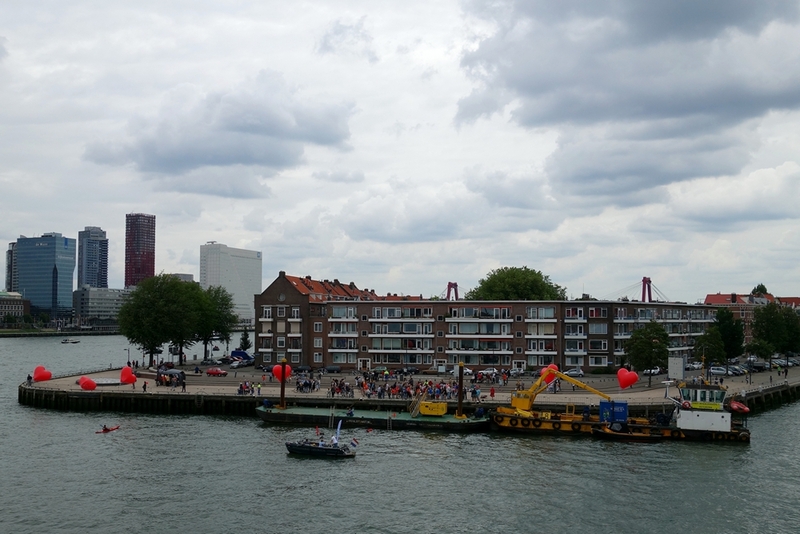 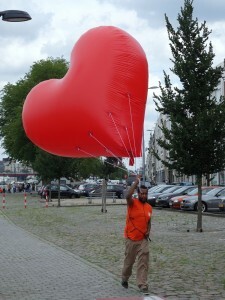 The day before, Rotterdam’s biggest event, the summer carnival street parade, was canceled because of a heavy storm. 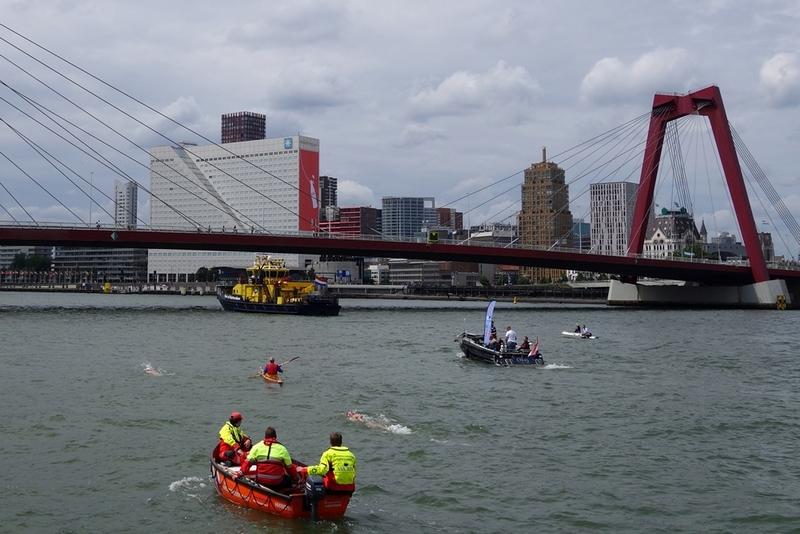 Although the sun disappeared during the race, we had a pleasant afternoon collecting photo and video footage of our brave fellow citizens taming the cold river. 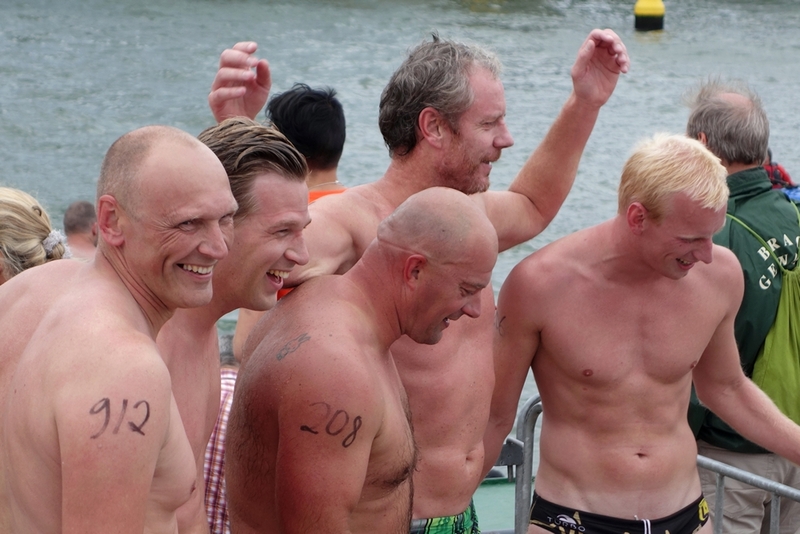 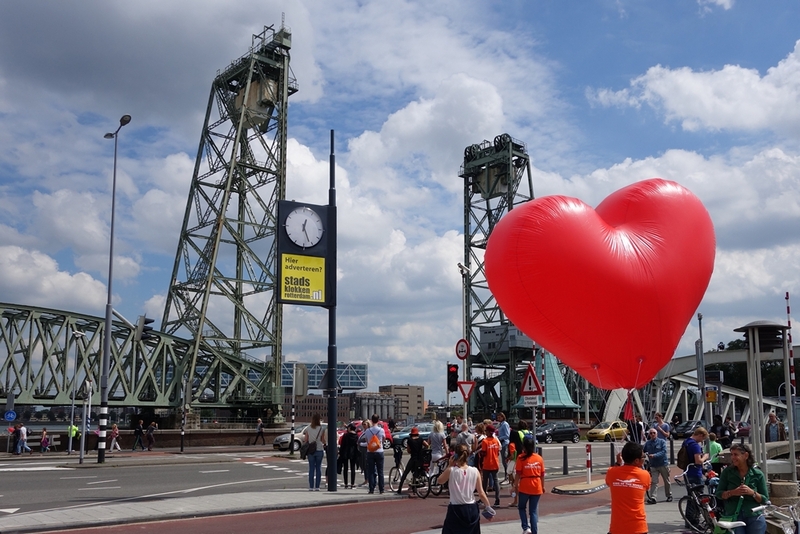 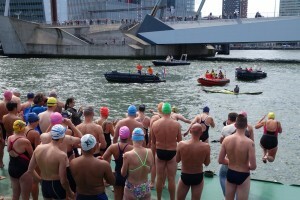 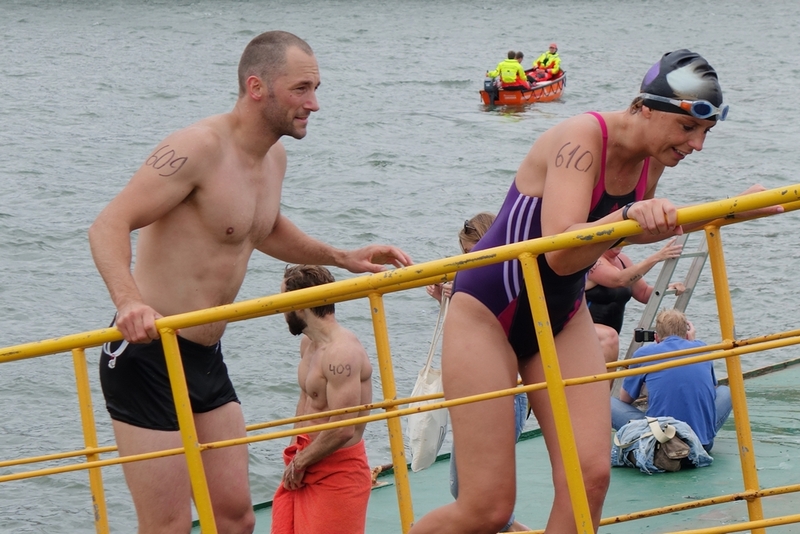 By participating this Rotterdam Swim challenge, they raised money for ‘Swim For Water’ to evolve clean water projects in the Netherlands and abroad. Anyone who collected more than 100 euros, received a free ticket for the Amsterdam Swim or the Royal Amstel Swim, later this summer. 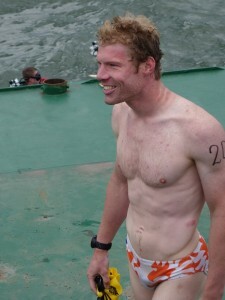 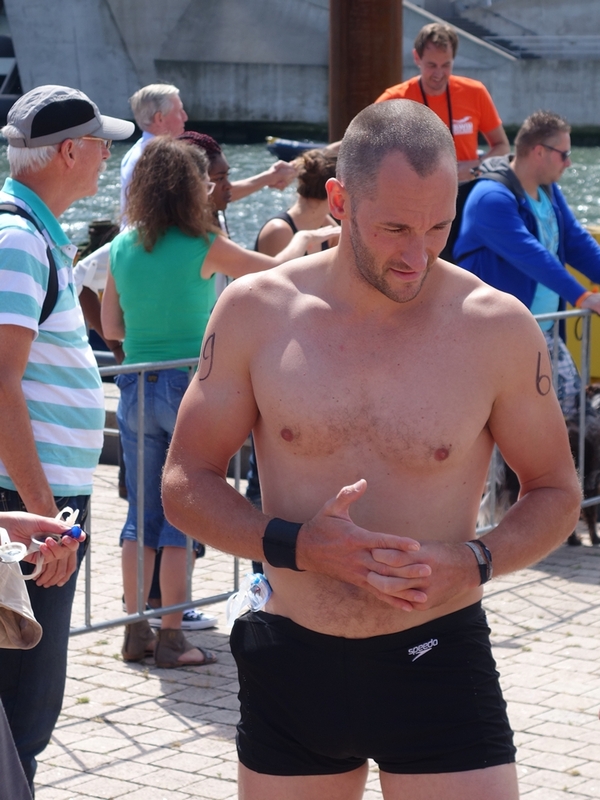 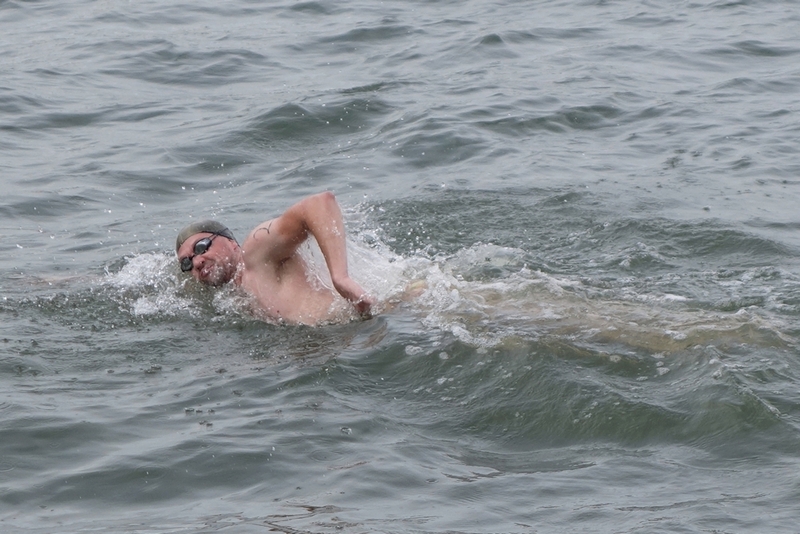 In this eighth edition of the Rotterdam Swim challenge, Jan Peter Riksman proved to be the fastest swimmer.